Confucianism is one of the largest moral and political schools in China. It has been developing for more than two millennia. 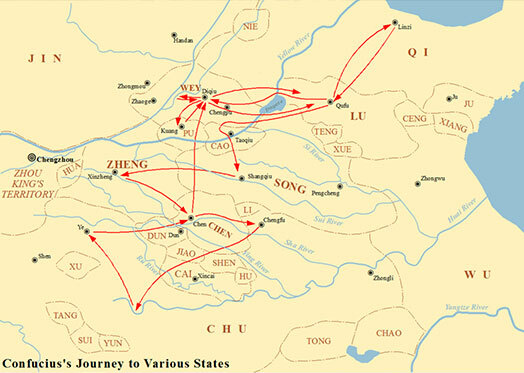 Under Han-Emperor Wu, Confucianism was imposed as a state doctrine, and it remained so for two millennia until the founding of the Republic of China. Confucianism is not strictly speaking a religion but rather a morality that has six million followers, mainly in China. China has been governed for two thousand years by a system of thought influenced by Confucianism, Taoism and Buddhism, with Confucianism exercising the greatest influence. This doctrine is based on the teaching of a wise man, Confucius, born in 551 BC, in the state of Lu, a province of present-day Shandong. Confucius was not an ideologue, it was essentially two of his disciples Mencius and Xun Zi, who conceptualized his thoughts and initiated his diffusion. 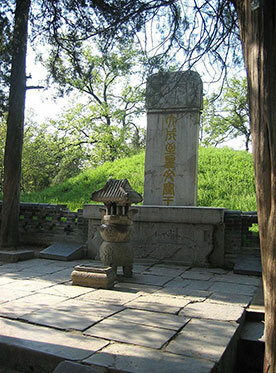 At the age of 3, Confucius lost his father, governor of Lu province, but nevertheless received a solid education, based on the traditions and rites of the Zhou Dynasty. He was first a teacher before becoming a senior magistrate in charge of justice at the age of 50. His action was haloed with success, thanks to his reforms that made justice fairer. However, as a victim of intrigue and conspiracy, Confucius had to leave his post. After 14 years of exile, he surrounded himself with disciples and spread his ideas throughout the country. At the age of 68, he returned home to his native Lu and led a secluded life devoted to studying ancient writers until his death in 479. The wise man deplores the absence of morals and ethical principles. According to him, his era had been so fundamentally undermined by the obscurantism of feudal power and the decline of central political power. 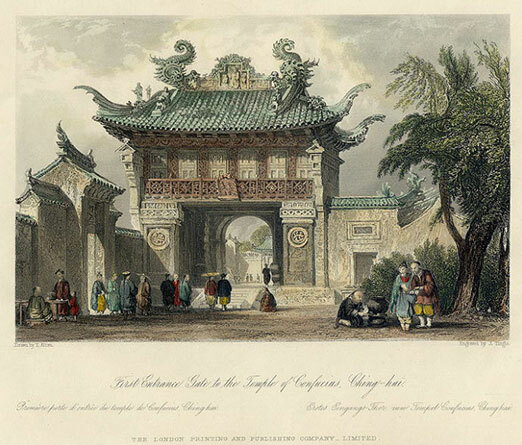 He advised to reconnect with the principles and precepts taught by the wise men of Chinese antiquity and develop a kind of philosophy to enact a norm of human behaviour, based on a ritual system as well as a moral and social doctrine. His unwritten teachings during his lifetime was passed on by his disciples. Confucius used tools of tautology, analogy and metaphors to explain his ideas. Most of the time these techniques were highly contextualised. For these reasons, Western readers, who were used to deductive reasoning, might find his philosophy confused and that he had no clear objective. This book, which was certainly written by the succeeding generations of Confucius’s disciples and completed during the Warring States period, is a compilation of excerpts from conversations, questions and answers, but there is no account of a coherent system of thought. Its paragraphs are grouped by themes, but the chapters follow each other randomly, without direct links. On the other hand, some important themes are repeated in different chapters, in the same way or with some variations, which accredited the thesis of a collective work. These writings have profoundly influenced China's philosophy and moral values. 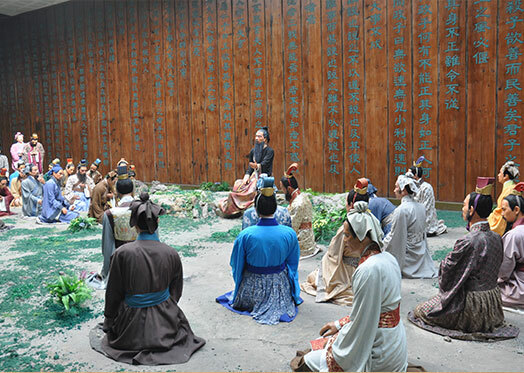 Confucius has faith in men and considers the family as the base of a society with rules, the respect of the parents and others and the love of the family. Man is a social being, who grows over time to become a noble and wise being and to be physically and morally upright. Nothing must be improvised, our often limited natural dispositions must be patiently educated by work force, so that the perfect man, integrated into his world in the place that is his, is culturally grown. The vulgar man is the one who has not let himself grow, and has therefore preserved his "animality". The mind has the duty to think and the virtue is in the reflection. We must not be swayed by the senses which deceive us. After Confucius’ death, his ideas were completed and embellished by his disciples - the two who were best known were Mencius and Xun-Zi. Teachers of Confucian morality, they aspire to political reforms. According to them, the ruler who will apply the precepts and philosophy of the wise, will become one of the greatest leaders of China. The reform of a state or of a community, is only possible if it begins with the questioning and improvement of each individual and their family. Man must find his balance, behave and act according to six main virtues: goodness, righteousness, propriety, wisdom, loyalty, respect for parents and respect for life and death. The Li, who invites to act in a balanced way. "The honest man is slow and the word is quick to act." It teaches that most problems might come from impulsivity. The Ren which symbolizes the humanity, the charity and the goodness that every human being has to manifest with respect to his fellows. It is summed up by the Confucian precept, "Do not do to others what you would not like someone to do to you." The Yi is similar to the Ren but it is more focused on justice in the practical sense of the term. The Xiao, which evokes the importance of being respectful and affectionate towards their parents. The Chu, which relates the need for everyone to know their role, to find their place and their balance and to ensure that they always adopt the right physical or moral attitude. For Confucius, thinking is weighing. Chung represents loyalty, dedication and good intentions. Violently opposed during the reign of Qin Shi Huang, founder of the first empire, Confucianism became the official doctrine for the recruitment of civil servants under the previous Han>. During two thousand years of interpretations, external influences and returning to the successive sources, brought different lightings including antagonistic ones. Despite these elements, the teachings never deviated from Confucius’ ideas which seek harmony in human relations. 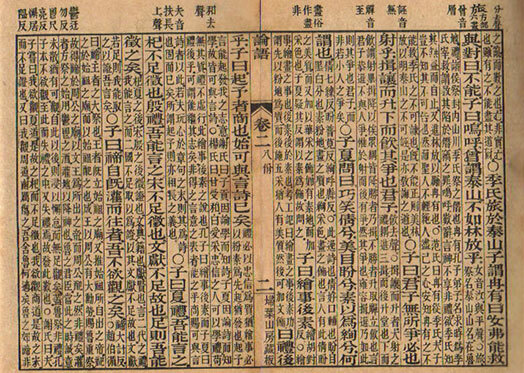 Confucius’ influences in East Asia can be compared to those of Plato and Jesus in the Western world. He is not the founder of a religion, but he has created with his disciples, a completed ritual system and a moral and social doctrine on the basis of the thought of his time, which is capable of remedying the spiritual decadence, according to him.